Bandrone (Ibandrote ) by Natco is generic version of Boniva injection. If you’re a woman diagnosed with osteoporosis, you know treatment is important. But you may be like other women who have difficulty taking tablets. Non-oral Bandrone Injection may be just the right treatment for you. 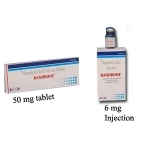 Bandrone Injection—administered by a healthcare professional just four times a year—does not have the same dosing guidelines of an oral bisphosphonate, which require taking the pill with plain water on an empty stomach upon rising in the morning, and remaining upright and avoiding food, drink (except plain water) and other medications for at least 30 minutes after taking the pill. Just one Bandrone Injection treatment every three months, provides continuous bone protection because it binds with and stays in your bones. A healthcare professional will give you your BandroneInjection. 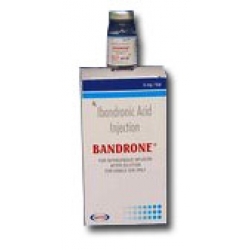 Do not administer Bandrone Injection to yourself. The injection itself takes about 30 seconds. Your healthcare professional will check your kidneys before giving each injection. After that, you’re set for the next 3 months. You don’t have to worry about taking it on an empty stomach or staying upright. 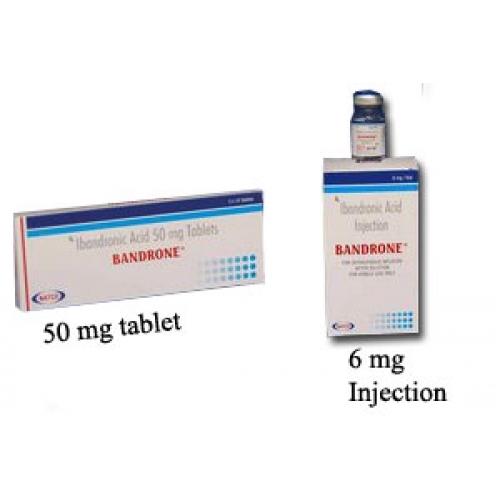 Bandrone Injection is from the makers of Bandrone Tablets so you get the same Bandrone protection for your bones that people who take the oral treatment receive. Like the tablet, Bandrone Injection not only maintains bone density, it actually builds your bones to help reduce fractures. With Bandrone Injection, you can feel confident your osteoporosis is being treated effectively. BONIVA Injection is a prescription medicine used to treat postmenopausal osteoporosis. BONIVA Injection must be administered intravenously (IV) only by a healthcare professional. Do NOT administer BONIVA Injection to yourself. Patients with severe kidney problems or who are allergic to BONIVA should not receive BONIVA Injection. You should have a blood test to check your kidneys prior to each injection of BONIVA. Your doctor must correct low blood calcium and vitamin D levels before starting BONIVA Injection therapy. You must also take calcium and vitamin D supplements while receiving BONIVA Injection therapy. Side effects are usually mild and of brief duration. The most common side effects with BONIVA Injection are bone, muscle, or joint pains, flu-like symptoms, and headache. Flu-like symptoms usually occur only after the first injection of BONIVA. Tell your doctor and dentist about all the medicines you take. Tell them if you develop jaw problems (especially following a dental procedure) or severe bone, joint, and/or muscle pain.